London “Battersea” Heliport is located on the south bank of the River Thames, opposite from Chelsea Harbour, and its a popular hub for business and executive aviation. We’re available 24 hours a day for all things private aviation, from passenger air charter, business jet rentals and helicopter transfers, to supplemental lift, private jet management and aircraft acquisitions. Contact us or give us a call at 1-888-987-5387 and arrange private helicopter service to/from London with Air Charter Advisors. Travel quickly across all areas of London by renting a private helicopter to/from London Heliport (ICAO: EGLW), previously known as Battersea Heliport and marketed as the NetJets London Heliport, the city’s only licensed heliport. 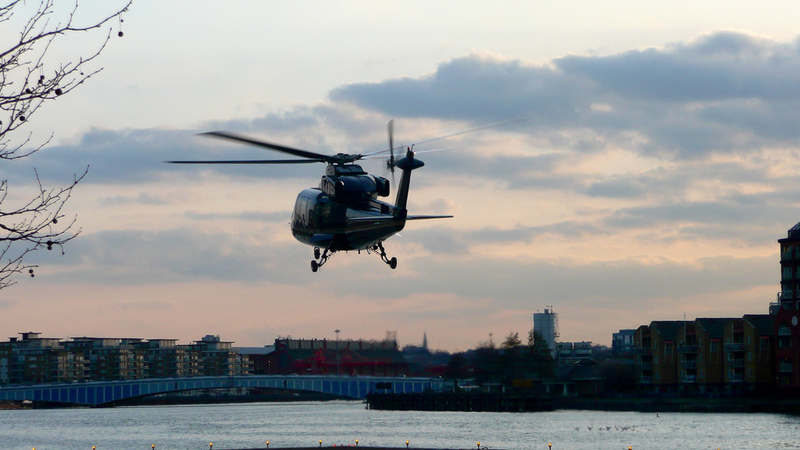 The Battersea heliport’s hours are between 8am — 9pm, with flights permitted between 7am — 11pm, although noise restrictions may be applicable. Flights are required to perform a figure 8 over the rover to reduce noise pollution, and rotors may only run for up to 5 minutes while on ground for the same reason. 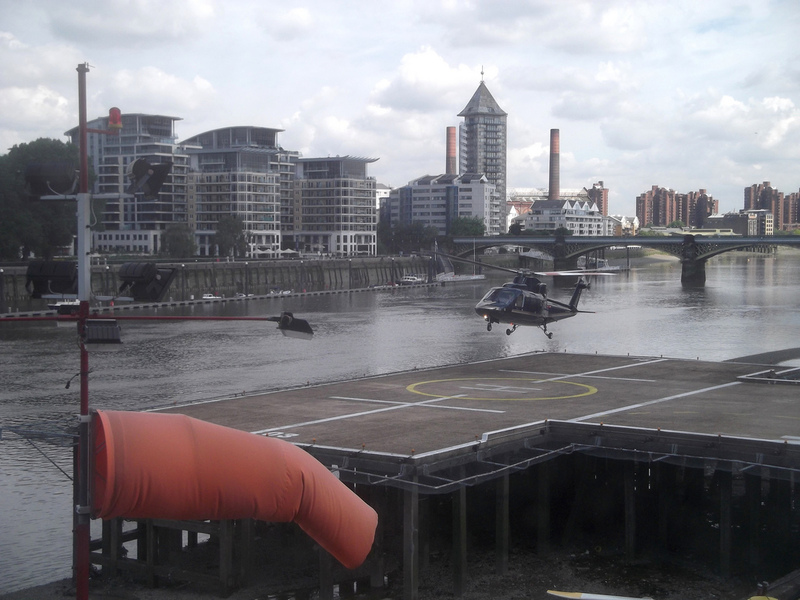 The facility at Battersea is small, with a 125 foot × 52 foot helipad (02/20) on a jetty sticking out over the south bank of the River Thames, just over 3 miles (5km) southwest of Westminster Bridge. Onshore parking is available for up to four helicopters, depending on aircraft size, and most commonly used by smaller choppers. 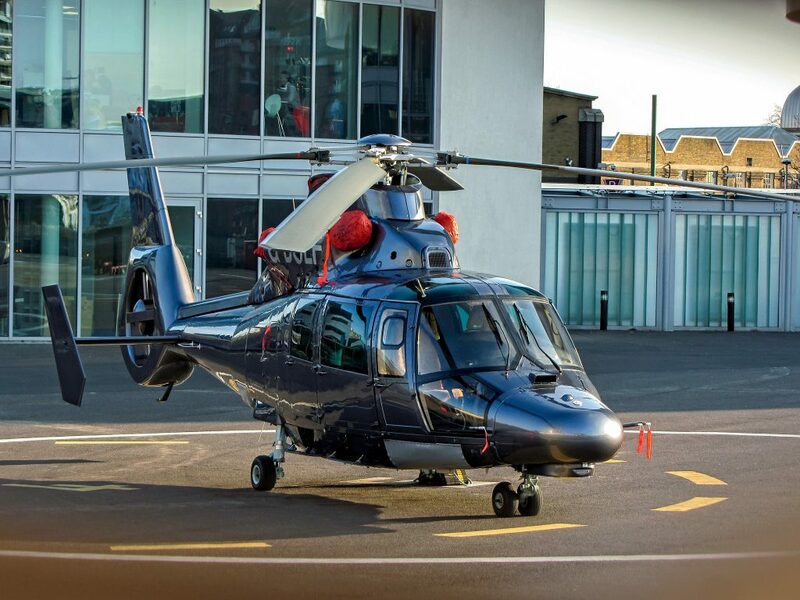 Many clients around London’s biggest financial districts enjoy fast, discrete transfer throughout the city, across areas of southern England, and over the English Channel to Amsterdam, Paris, and more — view our list of available helicopters. If private helicopters are your preferred method of travel in/around London, and you’re looking to arrange private jet charter service to destinations around the world, you’ve come to the right place — our Wyvern-certified charter brokers have access to thousands of private jets and turboprops located around the world, and our company adheres to some of the highest standards in private aviation. Request a free charter quote and our brokers will provide a variety of aircraft options based on the goals of your flight, allowing you to choose between a cost-effective plane or a luxurious, stylish private jet. Check out our Aircraft Gallery for more details on all of the aircraft available for your trip. If you don’t see your preferred aircraft listed below, speak to one of our brokers and they will locate one for you. Request a Quote or give us a call at 1-888-987-5387 and review all of the options for your private charter flight. Our team is available to you 24 hours a day, 7 days a week, and we offer free, no-commitment quotes for all of your upcoming trips.